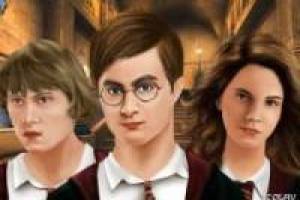 In this game you have to make up the magicians Harry Potter and his friends, Ginny Weasley and Susan Bones. There are a lot of different magical cosmetics to make up your favorite characters from the Harry Potter saga. Enjoy the game Make up Harry Potter, it's free, it's one of our Harry potter games we've selected.